Occasionally here at TLCB we dip into current events – if the seriousness of these dictates. Sadly the ongoing bombardment of Gaza is one of these times. Most of you reading TLCB today are visiting from America, and we know that for many of you Israel is an emotive and politically charged issue. However, we do think that as we’re relatively neutral, we might be able to be a little more balanced than Fox News Propaganda elects to be. What has the Gaza conflict got to do with LEGO? Not much. However, we are a global blog with readers from all over the world, including (according to our stats) both Israel and the State of Palestine. This means that someone will be reading this – a LEGO fan just like you – who will today, maybe even right now, hear the sound of a Hamas missile launching, or will need to run for their life from an Israeli airstrike in the State of Palestine. As of today 1,300 civilian Palestinians (hundreds of whom are children) have been killed by the Israeli bombardment of Gaza. Many more will lose their power, water, medical treatment or next meal due to the blockade on their city – in which they are trapped and cannot flee. If you are reading this from either side of the the Gaza-Israel wall, our thoughts are with you. To our readers from around the world; please remember that on both sides of this conflict somewhere there will be a LEGO fan just like you. To see if you can help please join us at The Red Cross, Christian Aid, or Oxfam (amongst many others), which is where the advertising revenue generated by your visit here will be donated. To find out more about our not-for-profit policy please click here. 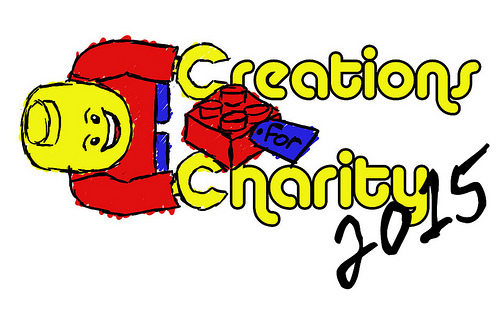 Creations For Charity 2012 – 1 Week To Go! There’s only one week left in the 2012 Creations for Charity fundraiser. 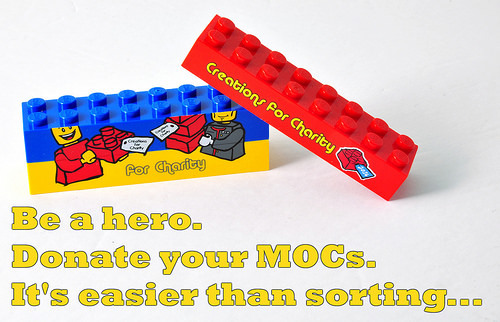 Every model bought provides LEGO to a child in need. Take a look at what’s on offer here, and remember; there are only 5 days left! 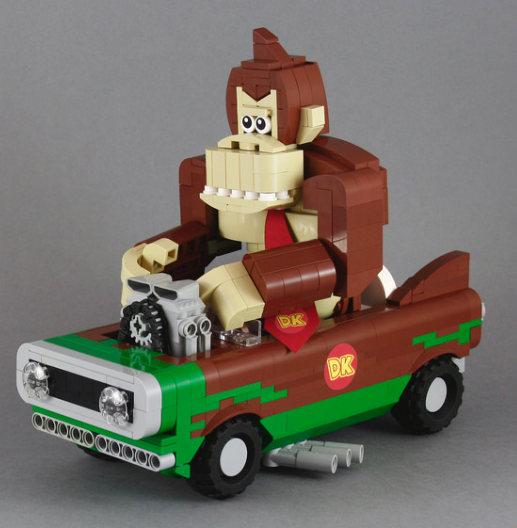 Buy this MOC! Built by the legendary Nannan Z (of Brothers Brick fame). All proceeds go towards providing LEGO sets to children in need.